The Strategic Committee provides guidance for the development of the France China Foundation activities. Its members meet once a year with the «Young Leaders» in France or in China. Jean-Paul Agon graduated from the Ecole des Hautes Etudes Commerciales. He joined the L’Oréal group in 1978. After first working in sales and marketing, he was appointed as General Manager of the Consumer Products Division in Greece in 1981 and then, General Manager of L’Oréal Paris in France. In 1989, he was named as the International Managing Director of the Biotherm brand, before being entrusted, five years later, with the role of Managing Director of L’Oréal Germany. In 1997, Jean-Paul Agon took on the position of Managing Director of the L’Oréal Asia Zone which he created for all the group activities in the region: Professional Products, Consumer Products, Luxury Products and Active Cosmetics. In 2005, he became the President of L’Oreal USA, and was then quickly appointed as Managing Director of the group. Jean-Paul Agon has been the CEO of the L’Oréal group since 2011. L’Oréal is the leading global cosmetic group with around twenty prestigious brands throughout the world such as L’Oréal Paris, Lancôme, Maybelline, Garnier, Redken 5th Avenue NYC, Soft Sheen/Carson, Kiehl’s since 1851, Matrix Essentials, La Roche-Posay, Ralph Lauren Fragrances, Giorgio Amani Perfumes, Biotherm and Helena Rubinstein. Jean-Jacques Annaud began his career by directing television commercials. His first movie “Black and White in Color”(1976), shot in Africa, won an Academy Award for Best Foreign Language Film. He won his first two César Awards for directing the film adaptation of “Quest for Fire” (1981). He continued to win César Awards for Best Foreign Film and Best Director for “The Name of the Rose” (1986), a film adaptation of Umberto Eco’s popular novel and “The Bear” (1988), respectively. Jean-Jacques Annaud directed “The Lover” (1992) based on the Novel by Marguerite Duras, where he brilliantly directed both Jane March and Tony Leung. He made the first fiction film in the IMAX 3D format: “Wings of Courage”. He also directed the war film« Enemy at the Gates »(2001) with Jude Law and Ed Harris. “Two Brothers”(2004), also featuring wild animals, won strong critic support. His latest film is “Black Gold”(2011), an epic drama with Tahar Rahim and Antonio Banderas. Jean-Jacques Annaud is currently working in China on his next project: the film adaptation of Jiang Rong’s best-selling Chinese novel “Wolf Totem”. Jean-Jacques Annaud graduated from the “Institut des Hautes Études Cinématographiques” (IDHEC) in Paris. Jean-jacques Annaud is a member of “Institut de France”. Writer, Special Adviser to the President of the Republic from 1981 to 1991, founder and first President of the European Bank for Reconstruction and Development in London from 1991 to 1993, Jacques Attali is currently CEO of A&A, an international consulting firm specialised in new technologies, based in Paris, and President of Positive Planet, an international solidarity organization whose mission is to fight poverty by improving access to financial services through the development of microfinance. Jacques Attali has a doctorate in Economics and is a graduate of the Ecole Polytechnique (first in the class of 1963), the Ecole des Mines, the Institut d’Etudes Politiques and the Ecole Nationale d’Administration. He taught Economic Theory at the Ecole Polytechnique, the Ecole des Ponts et Chaussées and the University of Paris-Dauphine. He has received several foreign universities honoris causa. Jacques Attali is a columnist for the magazine L’Express. He has written more than 50 books, translated into more than thirty languages, with over eight million copies sold all over the world, including essays (dealing with a wide variety of subjects ranging from mathematical economics, to music), biographies, novels, children’s tales and plays. Dr. Attali has been designated as one of the three most influential intellectuals in France and one of the 100 most influential worldwide. Patricia Barbizet is now Chairman of Temaris & Associés. She began her career within the Renault Group as treasurer of Renault Véhicules Industriels then as CFO of Renault Crédit International. She joined the Pinault Group in 1989 as CFO and has held the position of CEO of Artémis, François Pinault’s family holding, since 1992. She is graduated from the École supérieure de commerce de Paris (a french top business school). Patricia Barbizet is also Chairman of the Investment Committee of the Fonds stratégique d’Investissement (French Sovereign Fund), and an independent member of the Board of Directors of Total since 2008 and Air France-KLM since 2003. She was Vice Chairman of the Board of Kering until December 2018. Sébastien Bazin, 53, holds an undergraduate degree in Economics from the Sorbonne University of Paris and began his career in the finance sector in 1985 in the United States. In 1997, he joined Colony Capital to install and develop from Paris the European branch of the private investment firm. Within 15 years, he managed and participated in a number of investments in the hotel sector, including the buyout of the luxury hotel chains Fairmont and Raffles, acquisition and Management of hotel assets from La Générale des Eaux, Club Méditerranée, acquisition of a stake in Lucien Barrière Group, and investment in AccorHotels. Member of AccorHotels’s board since 2005, he was appointed as Chairman and CEO of the Group in August 2013. Administrator of Théâtre du Châtelet since 2013, Sébastien Bazin took over the presidency of this board on March 26th, 2015. He is also Vice-Chairman of the supervisory board of the Gustave Roussy Foundation. From September 1st, 2016, Denis Duverne has become Non-Executive Chairman of the Board of Directors of AXA. Since April 2010, Denis Duverne has been a member of the Board and Deputy Chief Executive Officer (“Directeur général délégué”) of AXA. He started his career in 1979 at the tax department of the French Ministry of Finance, and, after 2 years as commercial counselor for the French Consulate General in New York, he was director of the Corporate Taxes Department and then responsible for tax policy within the French Ministry of Finance from 1986 to 1991. Between 1991 and 1995, he held senior positions in the banking sector. Denis Duverne joined the AXA Group in 1995 and assumed responsibility for supervision of AXA’s operations in the US and the UK before managing the reorganization of AXA’s companies in Belgium and the United Kingdom following the merger with UAP. Between 2000 and 2003, he became Deputy Chief Financial Officer, where he developed in particular the risk management function. From February 2003, he was the Management Board member in charge of Finance, Control and Strategy. He was notably in charge of the integration of Winterthur within the AXA Group in 2006-2007. In 2014, Denis Duverne became a member of the Private Sector Advisory Group (PSAG), which brings together international leaders of the private sector whose shared goal is to help developing countries improve their corporate governance, co-founded in 1999 by the World Bank and the Organization for Economic Co-operation and Development (OECD). Denis Duverne is a graduate of the École des Hautes Études Commerciales (HEC) and of the École Nationale d’Administration (ENA). Laurent Fabius was born August 20, 1946 in Paris. After his bachelor’s degree, he enrolled in hypokhâgne khâgne and was admitted to the Ecole Normale Superieure of the rue d’Ulm. He graduated in modern literature (agrégation) and integrated the Institute of Political Studies in Paris and then, the National School of Administration (1971-1973). On leaving the ENA, he joined the State Council. Member of the French Socialist Party since 1974, he headed the office of François Mitterrand, first secretary of the PS, becoming his spokesman. First elected Deputy Mayor of Grand-Quevilly (Seine -Maritime), he becomes a member of the fourth district of Seine-Maritime in 1978, re-elected eight consecutive times since. After the victory of the left in the presidential election of 1981, Laurent Fabius was appointed Minister for the Budget (1981-1983) and Minister of Industry and Research (March 1983 – July 1984) in the government of Pierre Mauroy. July 17, 1984, at 37, he was appointed Prime Minister, the youngest in the history of the French Republic. In a difficult international context, he urged the country on the path of modernization. As an opposition MP for the second time in 1986, Laurent Fabius prepared and supported the re-election of François Mitterrand as President of the Republic in 1988. He became President of the National Assembly. In this position, he led the Socialist list in the European elections of 18 June 1989: he was elected and the Socialist Party achieves its most successful scores in its history.Chairman of the Socialist Group of the National Assembly in opposition, he became President of the Assembly for a second time, after the victory of the “plural left” in the parliamentary elections of 1997. His two terms as head of French MPs made Laurent Fabius as one of the great defenders of the rights of Parliament. Expert in economic and budgetary matters, he was appointed in 2000 as Minister of Economy and Finance in the government of Lionel Jospin. Alongside his national responsibilities, Laurent Fabius has held many local mandates. As Mayor of Grand-Quevilly (1995-2000), Regional Adviser (1992-1995), President of the Agglomeration of Rouen (1989-1995) and Chairman of the CREA (Community of agglomeration Rouen-Elbeuf, which includes 70 municipalities and half a million inhabitants), he helped to shape the face of Normandy. As a Steering Committee member of the Socialist Party since 1979, and first secretary of the PS from 1992 to 1993, Laurent Fabius is one of the key figures of the French left. Convinced as a European, his answer to the 2005 constitutional referendum (rejected by 55% of French) was “No” in order to defend a different Europe, turned more towards growth and solidarity. In 2006, he is a candidate for the Socialist primary for the presidential election with Ségolène Royal and Dominique Strauss- Kahn. In October 2010, Laurent Fabius governed the work of the National Convention for an “international and European New Deal” of the Socialist Party.In 2011, he was commissioned by Martine Aubry, First Secretary of the PS, then by François Hollande, to stimulate and coordinate the work of the mission “First Year”, which prepared the reform agenda to be implemented the day after alternation, in May 2012. In May 2012, Laurent Fabius was appointed Foreign Minister, and in February 2016, he was appointed President of the Constitutional Council by François Hollande, President of the Republic. As the son of antique dealers, also as an art lover, Laurent Fabius has taught at several universities in the United States and China. He has published numerous books including The Wounds of the truth (Editions Plon, Policy Book Prize) and The Cabinet of the Twelve Masterpieces. A glance at the paintings that make France (Gallimard, Montaigne Prize). Laurent Fabius is Grand Cross of the French National Order of Merit. Pansy Ho is a businesswoman and the daughter of Hong Kong and Macau-based businessman Stanley Ho, and the managing director of various companies that her father founded, including Shun Tak Holdings and the Societade de Turismo e Diversoes de Macau. As Metro-Goldwyn-Mayer China’s major stockholder, Pansy Ho also serves as chairwoman of the France Macau Business Association. Johnson&Wholes University in Providence, Rhode Island awarded her an honorary doctorate of business administration in May 2007. In April 2009, she was named Chevalier de l’Ordre national du Mérite in a ceremony at the French consulate-general of Hong Kong. Hung Huang is a television host, an author, an actress, a media figure, and the publisher of the fashion magazine iLook. Since early 2012, she has written a weekly column called ChinaFile for Women’s Wear Daily. In 1980, Hung attended Vassar College in the US. In 1984, she had been CEO of the American company Kamskip. Then, she became Representative for the CEO of a German Metal company. In 2000, she became CEO of China Interactive Media Group. In 2007, she was recognized as one of the most influential person in China for her creativity. Founder and Chairman, HUAZHU Hotels Group Ltd.
JI Qi is one of the most successful entrepreneurs in China, who co-founded “Ctrip.com” (NASDAQ: CTRP), “Home Inns & Hotels (NASDAQ: HMIN)” and founded “HUAZHU HOTELS GROUP LTD.” (NASDAQ: HTHT). All the three companies have been successfully listed on NASDAQ and the market value reaches over US$1 billion for each one. His successful story is the legend in the industry. Under his leadership, all the 40,000 employees commit themselves to keep satisfying travelers and corporate clients with impressive and cost-effective travel experiences. The group currently owns more than 2,000 hotels across over 300 cities in China. Aiming to become one of the world’s leading hotel operator, HUAZHU formed an extensive and long-term alliance with Accor in 2014, offering the customers of both loyalty programs (together 49 million members) the opportunity to access a network of over 5,700 hotels globally, covering the full spectrum of the market from Upscale (Joya, Grand Mercure, Manxin) to Midscale (Novotel, Mercure, Ji, Starway) and Economy (ibis, ibis Styles, HanTing, Elan, Hi). Peter Viem Kwok is the Chairman of CITIC Resources Holdings Limited, a Hong Kong-listed company that deals in commodities and energy resources.Mr. Kwok received his B.A. degree from National Taiwan University, his M. Phil. from the University of Hong Kong, and his M.B.A., M.A. and PhD in Financial Economics from the University of California Berkeley.In a career in finance and investment services that spans over 30 years, Mr Kwok has occupied senior positions with prestigious international banks and listed companies. In 1997, Mr. Kwok purchased his first vineyard – Chateau Haut-Brisson, a Grand Cru in the Saint-Emilion appellation of Bordeaux, France. In his 17+ years of ownership, Mr. Kwok has invested heavily in the property, and now produces an organic wine that has been lauded by critics.Chateau Haut-Brisson has central role to Mr. Kwok’s effort to promote French culture in China. These have included sponsorship of “Le French May” in Hong Kong and “Concours de Bordeaux” in Wuhan.In 2011 and 2012, he purchased 2 more vineyards – Tour Saint-Christophe and Chateau La Patache.Mr. Kwok has been awarded a Decoration of Chevalier des Arts et des Lettres in France on June 11, 2011. Mr. Kwok is 65 years old. He was born in Vietnam and grew up in Saigon. Philippe Labro developed a passionate interest for the United States very early on. Recipient of the Fullbright Grant at age eighteen, he left France to study at Washington and Lee University (Virginia) for two years. Thirty years later, this institution would award him an honorary doctorate. After returning to France, he became a reporter in 1957 for the French radio station Europe 1. He then worked as a senior reporter for Marie France and France Soir magazines, covering the news from the US during the 1960’s. As a TV anchor, he presented the afternoon news for the network Antenne 2 from 1982 to 1983. In 1985, Labro took on the role of program director at RTL, a radio channel over which he presided for fifteen years. In 2005, he went on to co-create the national TV channel Direct 8, now known as D8, where he still hosts the weekly television show Langue de bois s’abstenir (“Tell It Like It Is”). Convinced of the potential in a union between journalism and literature, Philippe Labro has published works inspired by his personal experience and observations on life. Many of these works are autobiographical, including Des feux mal éteints (“Poorly Extinguished Fires,” 1967), which was based on his military service in Algeria in 1960. In 1986 he received the prestigious Prix Interallié for L’étudiant étranger (“The Foreign Student”). Among his following works were Un été dans l’Ouest (“One Summer Out West,” 1988), which received the Gutenberg Prize, Quinze Ans (“Fifteen Years,” 1993), La traversée (“Dark Tunnel, White Light,” 1996), and Manuella (1999). The year 2002 saw the release of his book, Je connais gens de toutes sortes (“I Know All Kinds of People”), a compilation of narratives on various public figures, from Ernest Hemingway to François Mitterrand. In 2003 he published Tomber sept fois, se relever huit (“Fall Seven Times, Get Up Eight”), an account of his personal struggles. Since then, he has also published Les Gens (“People,” 2009), 7500 Signes (“7500 Signs,” 2010), Mon Amérique (“My America,” Photo Album, 2012), Le Flûtiste invisible (“The Invisible Flautist,” 2013), and On a tiré sur le Président (“The President Has Been Shot,” 2013). Labro, who believed in professional versatility, ventured into directing with films such as Tout peut arriver (“Don’t Be Blue,” 1969), L’héritier (“The Inheritor,” 1973), L’alpagueur (“Hunter Will Get You,” 1976), La crime (“The Crime,” 1983), and Rive droite, rive gauche (“Right Bank, Left Bank,” 1984). At times journalist, writer and director, Philippe Labro is an unusual man of culture, who was made Commander of the Legion of Honor and of the National Order of Merit. Philippe Labro is a member of the Supervisory Board of Euro Disney Associés S.C.A. and of the Board of Directors of the French American Foundation. He is also Vice President of the French Academy of Cinema Arts and Techniques (which delivers the César film award), and President of the literary prize Grand Prix RTL-Lire. Li Zhaoxing served as the Foreign Minister of the People’s Republic of China, from 2003 to 2007. Li served as the Director General of the Information Department of the Chinese Ministry of Foreign Affairs, Spokesman of the Chinese Ministry of Foreign Affairs, Assistant Minister of the Chinese Ministry of Foreign Affairs, Permanent Representative and Ambassador Extraordinary and Plenipotentiary of the People’s Republic of China to the United Nations, Vice Minister of Foreign Affairs, Ambassador Extraordinary and Plenipotentiary of the People’s Republic of China to the United States, Minister of Foreign Affairs. Since 2008, he has served as Chairman of Foreign Affairs Committee of the National Committee of the National People’s Congress (NPC). Ma Huateng is an executive Director, Chairman of the Board and Chief Executive Officer of Tencent Co. Ltd. Mr. Ma has overall responsibilities for strategic planning and positioning and management of the Group. Mr. Ma is one of the Core Founders and has been employed by the Group since 1999. Prior to his current employment, Mr. Ma was in charge of research and development for Internet paging system development at China Motion Telecom Development Limited, a supplier of telecommunications services and products in China. Mr. Ma obtained a Bachelor degree in Computer Sciences from Shenzhen University in 1993. He has more than 19 years of experience in the telecommunications and Internet industries. Jack Ma is the lead founder of Alibaba Group. After the company’s debut in 1999, he served as Group chairman and Chief Executive Officer for more than a decade, with responsibility for overall strategy and focus. On May 10, 2013, he stepped down as Chief Executive Officer but remains executive chairman and continues to shape the Group’s business strategy and management development. Jack MA, who holds a bachelor’s degree in English from Hangzhou Teacher’s Institute, currently serves on the board of SoftBank Corp., a leading digital information company that is publicly traded on the Tokyo Stock Exchange. He is also a director of Huayi Brothers Media Corporation, a company listed on The Shenzhen Stock Exchange. In 2009, Jack became a trustee of The Nature Conservancy’s China program and joined the global board of directors of the organization in 2010. Since May 11, 2013, he has served as chairman of The Nature Conservancy’s China board of directors. Alain Mérieux holds a doctorate in pharmaceutical sciences, he is a former intern at the Hospitals of Lyon and an alumnus of the Harvard Business School. In 1963, Alain Mérieux created BD Mérieux, owned equally by Institut Mérieux and Becton Dickinson. In 1968, Alain Mérieux took over the Presidency of the Institut Mérieux and gave the group its position as world leader in the field of vaccines, both in human medicine and veterinary medicine. He held the presidency until 1994, having in 1985 taken control of the Institut Pasteur Production in France, and in 1989 directed the acquisition of Connaught Laboratories in North America. When Alain Mérieux became, in 1974, the majority shareholder of BD Mérieux, the company took the name of bioMérieux. Alain Mérieux has held the Presidency since that date. This company is now one of the top ten global biological diagnosis firms. From 1986 to 1998, he also assumed the role of Vice-Chairman of the Rhône-Alpes Regional Council, in charge of International Relations, Economic Development, Research and Higher Education. Alain Mérieux also chairs the Mérieux Foundation, a family foundation, recognised as a public service utility, which works in developing countries to build capacity to fight against infectious diseases. The Mérieux Foundation has been cooperating since 2007 with the Ministry of Health of China on the prevention and control of infectious diseases. During his last visit to China, Alain Mérieux met Chinese Vice-President Xi Jingping who thanked the Mérieux Foundation for its support and contribution to the development of public health programs in China. Virginie Morgon is currently the president of Executive Board of Eurazeo. She has been a member of Eurazeo’s Executive Board since January 2008. At the end of 2012, during the reorganization of Eurazeo in four divisions, Virginie became Chief Investment Officer. As such, she supervises all the investments of Eurazeo. After working as an investment banker in New York and London since 1991, Virginie became the youngest managing senior partner at Lazard Frères et Cie in Paris early 2001. She was promoted Head of the European Food, Retail and Consumer goods sector in 2006. During 16 years at Lazard, she advised numerous French and international groups such as Air Liquide, Danone, France Telecom Publicis, Renault, Kingfisher/Castorama and Kesa/Darty. Consequently, she has developed an extensive network in Europe as well as international expertise in financial matters. In April 2013, Virginie joined the L’Oréal’s Board of Directors. Arnaud de Puyfontaine is the Chairman of the Management Board of Vivendi. He has been a member of the Management Board and Senior Executive Vice President in charge of Vivendi’s media and content activities since January 2014. Arnaud de Puyfontaine started as a consultant at Arthur Andersen and later on, in 1989, as project manager at Rhône-Poulenc. In 1990, he joined Le Figaro as Executive Director. In 1995, as a member of the founding team of the Emap Group in France, he headed Télé Poche and Studio Magazine, managed the acquisition of Télé Star and Télé Star Jeux, and started up the Emap Star Division before becoming Chief Executive Officer of Emap France in 1998. Chairman and Chief Executive Officer of Emap France in 1999, he served from 2000 to 2005 as Chairman of EMW, the Emap/Wanadoo digital subsidiary. In 2006, he was appointed Chairman and Chief Executive Officer of Editions Mondadori France and headed all digital business for the Mondadori Group in 2007. In 2009, he became Chief Executive Officer of Hearst UK. In 2011, on behalf of the Hearst Group, he led the acquisition of the 102 magazines of the Lagardère Group published abroad. He was later on appointed Executive Vice President of Hearst Magazines International before being appointed Managing Director Western Europe in 2013. Born in 1964, Arnaud de Puyfontaine is a graduate of the ESCP, the Multimedia Institute and the Harvard Business School program. He was Chairman of ESCP Europe Alumni from 2011 to 2014. Jean-Pierre Raffarin served as Prime Minister of France from 2002 to 2005, when Jacques Chirac was President. As a French statesman, he held such prominent functions as Senator of Vienne, President of the Region Poitou Charentes, Member of the European Parliament, and Vice-President of the French Senate. French Minister of Small and Medium Enterprises, Commerce and Craft from 1995 to 1997, he was Prime Minister from 2002 to 2005. He led reforms on various topics such as pension, decentralization and health insurance. In 2007, he became vice-President of the right-wing UMP Party. In 2009, French President Sarkozy appointed him as President of the Republic’s personal representative for Francophony : therefore he has been particularly active on the international stage and went to China many times for specific missions. He is also Chairman of the annual French Chinese seminar of the Comité France Chine and of the “Fondation pour la Prospective et l’Innovation”. Bruno Roger graduated from the Institut d’Etudes Politiques de Paris (Sciences-Po Paris). He has been working for Lazard Frères since 1954. He is a member of the world executive committee of Lazard since 2000. He is President of La Compagnie Financière Lazard since 2002, President of Lazard Frères SAS and Chief Executive Officer of Lazard Frères Bank since 2009. Bruno Roger is also Honorary president of Eurazeo since 2004. He has been Member of the Board of several companies like Saint-Gobain, Sofina or Thomson and Member of the Supervisory Board of Crédit Immobilier Industriel Sovac, Axa and Pinault Printemps. Bruno Roger is President of The Festival d’Aix-en-Provence since 2005. He was appointed” Grand Officer of the French Legion of Honor” and was named “Commandeur des Arts et des Lettres”. Hubert Védrine served successively as a diplomatic advisor, spokesman and General Secretary under the presidency of François Mitterrand, from 1981 to 1995. From 1997 to 2002, he was Minister of Foreign Affairs in the government of Lionel Jospin, under the presidency of Jacques Chirac. In 2003, he created a geopolitical consulting company, Hubert Védrine Conseil. He is the author of many books on geopolitics or about François Mitterrand. November 14, 2012 he gave the President Hollande a report on “the consequences of the return of France to the integrated command of NATO, on the future of the transatlantic relationship and the prospects for European defense”. His latest book La France au défi, about the reform in France, was published in March 2014. Architect Wang Shu is teaching at the China Academy of Art, Southeast University and Tongji University. He is the Kenzo Tange Visiting Professor at the Harvard Graduate School of Design and was conferred upon the degree of honorary Doctor of Fine Arts at the Rhode Island School of Design. He is the president of the jury for the Solar Decathlon Europe 2014 and a member of the jury of the fifth theme of the Prix Pictet. He is also a member of the International Advisory Panel for Lee Kuan Yew Centre for Innovative Cities. 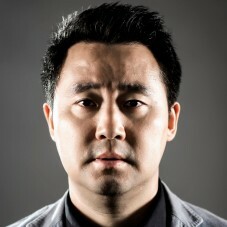 He established Amateur Architecture Studio with his wife Lu Wenyu in 1997. He’s been working and doing research on the re-establishment of contemporary Chinese architecture, which reflects in his projects like the Ningbo Historic Museum, the New Campus of China Academy of Art in HangZhou, the Tengtou Pavilion for Shanghai Expo, the Ceramic Houses, the Vertical Courtyard Apartment, the Ningbo Contemporary Art Museum, etc. Wang Shu has been awarded the Pritzker Architecture Prize 2012. He also received the Gold Prize from France Architecture Academy in 2011. He and Lu Wenyu are the winners of the Schelling Architecture Prize 2010. His projects have been published widely around the world in numerous magazines and books. His works have been exhibited in important venues throughout the world. He’s also been invited by universities and institutes around the world to give lectures and speeches. Wang Yan founded SINA.com. He holds a BA degree in Law from the University of Paris. Together with Li Songbo, Wang Yan established the International Network Department of Stone Lifang in 1996. In June of the same year, he established one of the earliest commercial Chinese websites – Lifang On-line. Wang Yan accumulated much experience in website planning, management and marketing, and with the joint efforts of Wang Yan and his colleagues, the website became one of the most popular Chinese websites with the highest number of visits. The website completed its merger with Huayuan Information Website successfully in 1999, and together they established Sina. The company is much appreciated by Chinese people, and in particular Sina Weibo, the most popular social network in China. Wang Yan was CEO of Sina from 2001 to 2012. He is now responsible for Sina Charity fund. Yan Pei-Ming is a contemporary artist with a worldwide reputation. Born in Shanghai, he settled in France in 1983. He studied for five years at Ecole des Beaux-Arts of Dijon. Then he studied 2 years at Institut des Hautes Etudes en Arts Plastiques of Paris. In 1993, he became a fellow at Villa Medici in Roma. Yan Pei-Ming performs mostly portraits. Yan Pei-Ming focused his research mainly on identity. He apprehends the invisible and absent character of human being in his behaviour as a whole, at a sense of humanity that is difficulty to grasp. He made portraits of children, political figures or showbiz personalities, and is also interested in landscapes. In fact, he is best known for his paintings of monumental size portraits of famous personalities like Mao Zedong, but also from very close relatives like his own father. Faces painted by Yan Pei-Ming are shown in close-up, which gives them a surprisingly lively presence, whilst depersonalizing them: the artist claims working on “anti-portrait”. Yu Long is currently Artistic Director of the Beijing Music Festival and the China Philharmonic Orchestra, Music Director of the Shanghai and Guangzhou Symphony Orchestras and the co-director of MISA Shanghai Summer Festival. While Yu Long’s vision and efforts continue to make the Beijing Music Festival the hub of musical life in China’s capital, he tours with his orchestras regularly in China and in major music cities throughout the world. As a guest conductor, Long Yu has performed with leading orchestras and opera companies worldwide including Orchestre de Paris, Hamburg State Opera, Maggio Musicale Fiorentino, Munich Philharmonic, New York Philharmonic, Chicago Symphony Orchestra, Philadelphia Orchestra, Los Angeles Philharmonic, Cincinnati Symphony Orchestra, Sydney Symphony, Hong Kong Philharmonic, Tokyo Philharmonic and Singapore Symphony. In 1992, he was appointed Principal Conductor of the Central Opera Theatre in Beijing and involved in the planning of the first Beijing New Year’s Concert later that year and served as its conductor for three consecutive years. He created opera productions for The Urban Council of Hong Kong for five successive years. In 1998, he led the creation of the Beijing Music Festival and has been its Artistic Director ever since. Under his leadership the Beijing Music Festival is regarded as one of the world’s most important music festivals. In 2005, with the provincial government’s support, he built up the Guangzhou International Summer Music Academy and became its Chairman for the following three years. He also established the MISA Shanghai Summer Music Festival in 2010 and the Guangzhou Asian Music Festival. Born in 1964 into a music family in Shanghai, Yu Long received his early musical education from his grandfather Ding Shande, a composer of great renown, and went on to study at the Shanghai Conservatory and the Hochschule der Kunst in Berlin. He was the recipient of the 2002 Arts Patronage Award of the Montblanc Cultural Foundation. He also has been awarded the Chevalier dans L’Ordre des Arts et des Lettres in 2003, the title of L’onorificenza di commendatore by President Berlusconi in 2005 for his outstanding contribution in the field of music and culture. In 2010, Yu Long received an Honorary Academician from the Central Conservatory of Beijing for his great dedication on cultural exchanging and music development in China. Zhang Xin graduated with a Master’s Degree in Development Economics from Cambridge University. She was hired by Barings Plc to work in Hong Kong. She soon moved to Goldman Sachs and started working for the investment bank in New York City. In 1994, she switched to Travelers Group before returning to her hometown, Beijing. She co-founded Hongshi (meaning Red Stone), which became SOHO China, with her husband Pan Shiyi in 1995. SOHO China is the largest property developer in central Beijing. Zhang Xin has won many prestigious international awards for her role as a patron of visionary architecture in China and as an innovative entrepreneur. Zhang Xin is a member and Young Global Leader of World Economic Forum, Davos, a member of Asia Business Council and a Board Member of the Council on Foreign Relations.